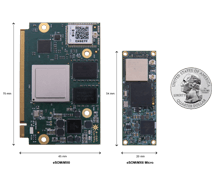 eSOMiMX6-micro is a high performance micro system on module based on NXP/Freescale i.MX6 Quad/Dual Core ARM® Cortex™-A9 in an ultra small form factor of 54mm x 20mm with 10mA in suspend current. 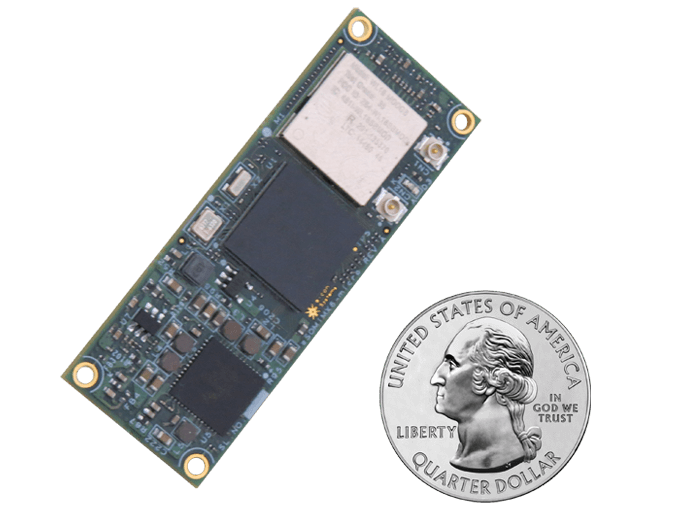 This powerful micro SOM can be used in compact medical devices, drones, wearable technology gadgets. 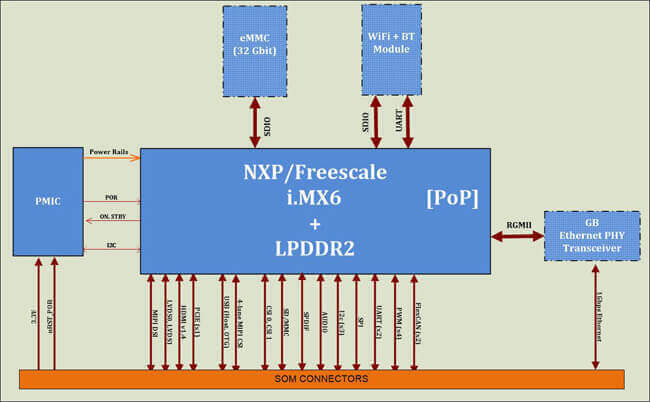 eSOMiMX6-micro has iMX6 CPU running up to 800MHZ - Quad Core and Dual Core ARM Cortex-A9, 2GB LPDDR2 and 4GB eMMC FLASH (expandable upto 32GB). eSOMiMX6-micro System on Module also has Wireless LAN and Bluetooth module. 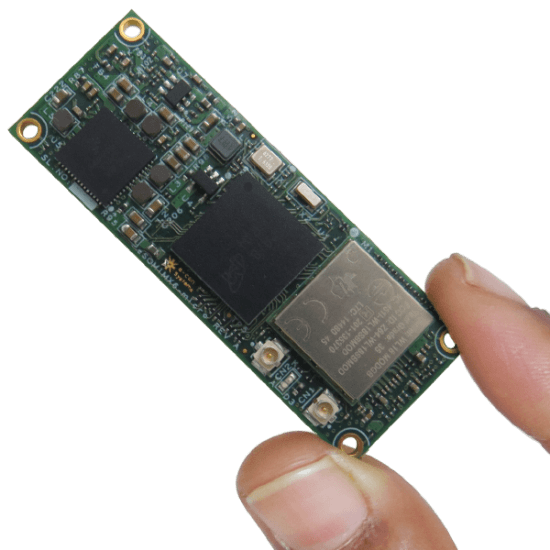 This iMX6 Micro SOM supports Linux and Android Marshmallow. e-con Systems provides rapid development kit - Meissa-I. 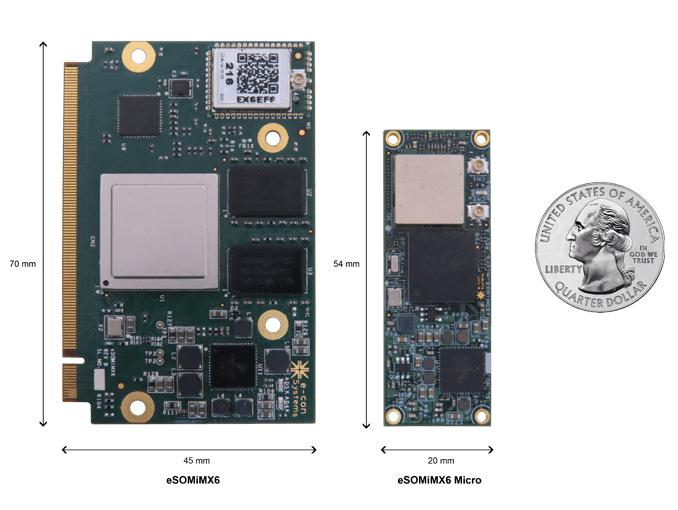 This development kit features carrier board around eSOMiMX6-micro system on module with support for various peripherals. e-con Systems provides Linux and Android Marshmallow with device drivers for all the peripherals. eSOMiMX6-micro can be customized with the following configuration. x-variants can be chosen from the following eSOMiMX6-micro Part Number Decoding Table.